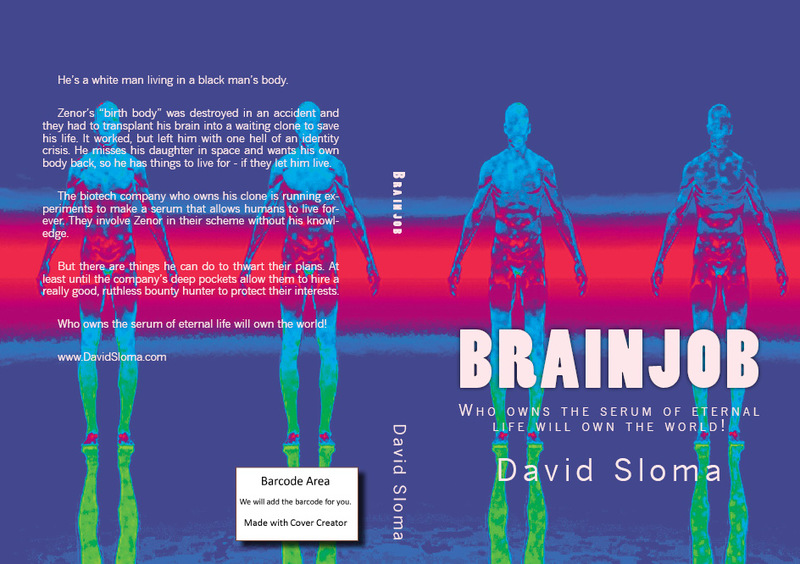 I’m getting the new cover ready for my book Brainjob. The old cover is still in place, but not for long, on Amazon. It’s $0.99 right now on special for the ebook, if you want something new to read, and like sci-fi thrillers. 125,000+ words, or 344 pages.